After a winter spent training I worked on Rainshadow for 12 sessions, about 6 weeks: it’s gone so fast. Slowly piecing things together, changing beta, making progress, changing beta again, making a bit more progress… tiny adjustments, small concessions from the route. Trying to be fresh for each day at the crag, maybe in the process becoming a mild hypochondriac. Trying to find the balance between keeping strength and being rested enough. Dieting. Again trying to find the balance, wanting to be light but also have enough energy to push myself. How to manage it? Simple calories in vs calories out? Ketogenic? Glyco-dumping the day before? Fasting? Or maybe carb-loading to make sure the fuel is there for the link attempts? Trying to do this and still keep a healthy relationship with food and body image…. now that’s a tall order. And then there are conditions. Constantly checking the weather. Too hot, too cold, too wet…., some days perfect. Skin damage; split tips, epic bruising. Specific methods of taping; I found myself trying to saw my finger tape with a kitchen knife so it was small and light to fit in my chalk bag. The things we do, eh. Ha and the main problem is probably over thinking it all. The best bits? The moments when all those things fade away and it’s just you and the rock and it is hard but simple. The figuring it out, the breakthrough moments are so satisfying and worth it. The days spent in a beautiful place with such lovely people. Seeing other people make breakthroughs on their projects and feeling your own psyche swell with theirs to a new level. Projecting is a funny old process. So many factors at play, especially when trying something at your limit. It seemed like to just make a good link I needed an awful lot of things to line up. There’s a clue in there somewhere. I need to be over-strong for this route. Gulp. My goals this year were bite-size in comparison to the end goal of sending but they felt like big mouthfuls nonetheless. The main goal was to link the crux section of the route, to do the “boulder” that lies smack bang in the middle of the route. For those that don’t know Rainshadow, it is comprised of an F8a route (Raindogs) to an awkward rest before the crux boulder (estimated around Font 8Aish (I actually think potentially harder)), which then leads into a burly headwall of about F8a+. Getting the middle bit sorted was my main focus. I found the boulder really hard! It’s 12 moves (from the Raindogs rest to where it eases off) and it’s a proper battle unless you’re Steve Mcclure. Last year I had a wee play on the moves and could just do them in isolation and only just. So I had a long way to come this year to hit my goals. I find it interesting looking back now at how my short season at Malham panned out. I got better and better until I peaked – two great sessions where I did big links through the hardest section. Then I dropped off the back of that peak with a heavy thud. Those good sessions gave me such confidence, I felt like the route was actually possible for me. It was still going to be a long journey but one I felt was suddenly realistic and not just a far off dream. Three sessions later and I’m desperately hanging onto that feeling, trying to keep it safe somewhere. I went back for three more days at Malham and my performance went steadily downhill. I rested more but it made no difference. I was struggling with psyche; bruised fingertips, fatigue and I think an element of becoming de-trained. I lost my edge. So I’m taking a step back for a bit to re-group, get stronger and come back when the time is right with a vengeance. I think the key to this route is going to be bloody mindedness and long term psyche for all the effort involved….only one way to find out. One of the best parts of the season for me has to be the car journeys up to Malham and the time spent on the catwalk. The conversational content now coined “The Malham Files”, would make great reading. 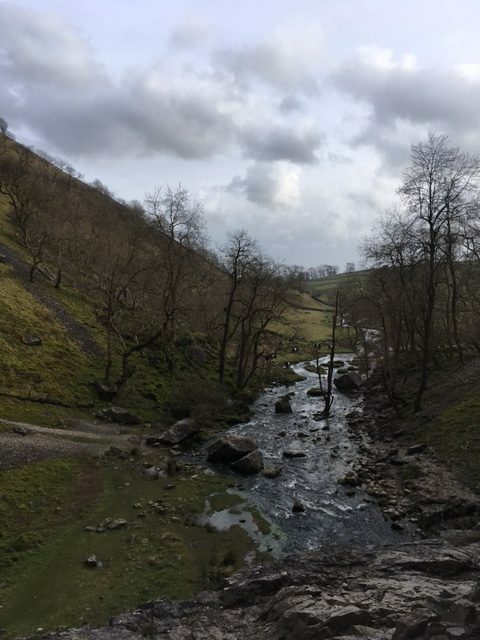 From the latest training and diet experiments undertaken by keen Malham goers, to tall tales from the climbing community, current affairs discussions and everything in-between, it’s been a blast. Thanks to everyone in that special community for making it such a fun and interesting place to be, see you back there soon! So great Mina, really respect your transparency, dedication, and all your effort. Anybody can go wreck themselves in the gym for 3 hours, but the grind: that’s what ‘trying hard’ really is. Reading this gets me way more psyched than watching a quick video of someone crushing something. Keep at it Mina, rooting for you!